If you’re not an expert in real estate or construction, or if you never had experiences with mold in your own home, then you probably think that it’s not a big deal. 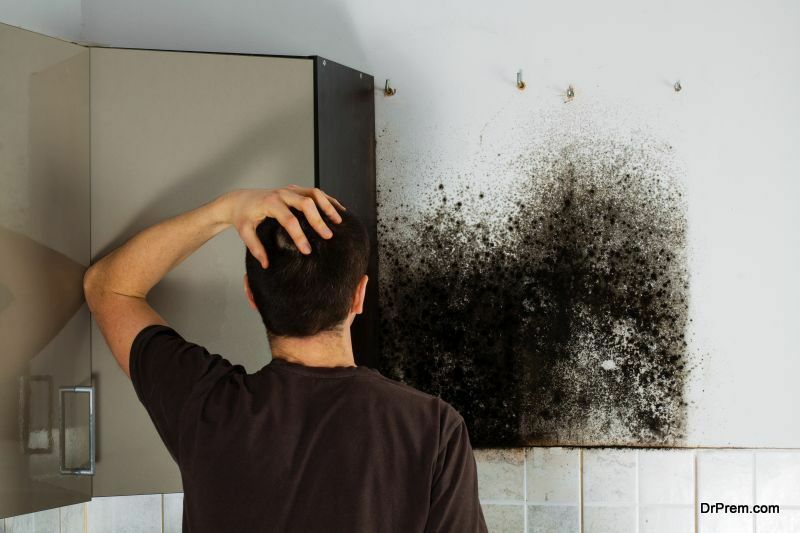 However, real estate agents and homeowners who do have mold related experiences will tell you that this is one seriously dangerous type of fungus. Although it looks quite harmless – a layman could hardly perceive a bit of mold as something potentially hazardous – you should know that mold causes something people refer to as the sick building syndrome. But its effects don’t stop there. Before we continue, it’s necessary to get to know this fungus better, so let’s go through the basics first. If you let it, mold will invite itself in your home and stay there. If you ever had undesirable house guests, like mice, you probably know the drill. Besides, you should treat mold pollution as if it were a pest – even though it doesn’t walk around, it’s not any less harmful. 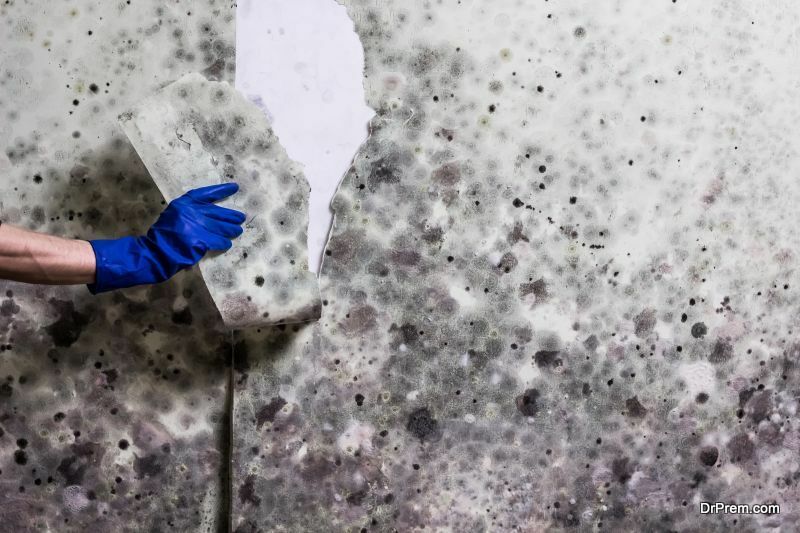 First of all, you should know what mold looks like – it appears in the form of spots. They can be white and fuzzy, orange and smooth, or dark, small and highly concentrated. You can learn more about different types if you check out this website. A general precondition for mold pollution is the existence of mold spores, but they are everywhere really. It can also come from a food source – bread, eggs and cheese in most cases. However, for mold to flourish, the following three conditions are a must; high humidity, high temperatures, and dark areas. Therefore, you should pay special attention to rooms that don’t have a constant lite source – like attics, basements, and pantries. We mentioned in the beginning that mold causes the so called sick building syndrome. 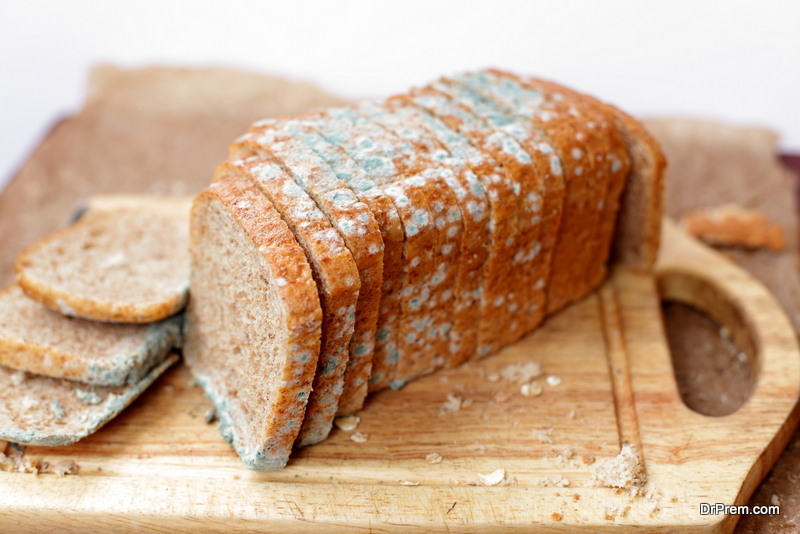 That happens because mold is actually one insatiably hungry fungus with a special fondness for organic matter and, with enough time on its hands, it can destroy a whole building. However, the fact that it can go through leather, paper, walls, carpets, furniture etc. isn’t the biggest problem – some kinds of mold are toxic for humans. Therefore, if your nose is running lately and you can’t think of why, and if you have problems with red eyes and skin rashes, chances are you’re responding to mold in your home. In case you’re allergic to mold, you will have problems with respiratory organs and you can expect a certain shortness of breath. Asthma patients need to be especially cautious; mold in the house means an increased risk of heart attacks. Considering that this fungus needs over 55% air humidity to grow, you should focus on finding ways to control the humidity in your home. Furthermore, you should take care of all leakage problems, like cracked pipes, roof leaks, basement isolation issues. This is the most common cause for mold pollution – the water related problem in the structure of the building. In most cases, homeowners don’t even notice that they have a leak problem, which is why constant checks are mandatory. Another common cause is an improper ventilation system. If it is not functioning properly, it can actually do more harm than good. The wet surfaces in your home won’t dry up as quickly. And, as we mentioned, humidity and mold go hand in hand. Because it has a way of sneaking up on you, perhaps you should explore mold insurance. With a good package, you’ll be able to protect your health and your home. An insurance package could cover any and all mold related injuries and damage control. The most important thing is your reaction; if you respond to mold as soon as you notice it, any kind of damage is fixable. However, the more you allow it to grow and multiply, the harder it will be for you to get rid of it. Therefore, keep your home under surveillance, pay attention to the early signs, and you’ll have one healthy building.